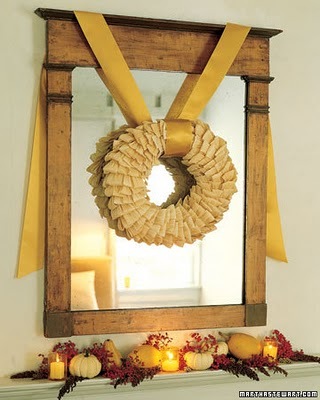 Tangled and True: fall wreath. I've been looking for a good fall wreath for our front door. I saw this tutorial on Martha Stewart today and thought it would be a good one to make. Any other good suggestions out there? i LOVE this one from purl bee... and it could easily be adapted for fall! Oh Britt, that is so 70s early 80s. Made several of those myself. Everything old is new again! Very nice! Love that people are making decorative items for their homes again!